WCU band director Bob Buckner catches up with Catherine Dillard. Western Carolina alumna Catherine Dillard of Knoxville, Tenn., had always wanted to come to the Rose Parade. When she saw a story about the Western Carolina University Pride of the Mountains Marching Band planning to march in the annual event, Dillard decided 2011 would be the year. “I thought what better opportunity,” said Dillard, who was one of Buckner’s first students when he began teaching at Sylva-Webster High School. Under his leadership, the band grew in three years from about a dozen students to about 50. Buckner directed award-winning bands throughout his career and plans to retire this spring. 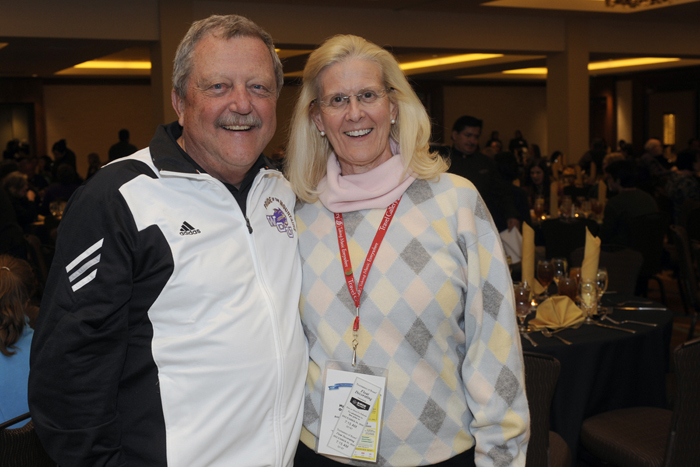 Click here to read a story about Buckner and how he helped grow the WCU band program.